File Types: TTF,OTF,All Files; File Size: 273.32 KB; Vector: Yes. Layered Luducudu Tpeface is a font inspired by the cartoons on television, has a funny character, unique, and full of laughter. This font is suitable for making a title, cartoons, funny stories, children's stories, and others. 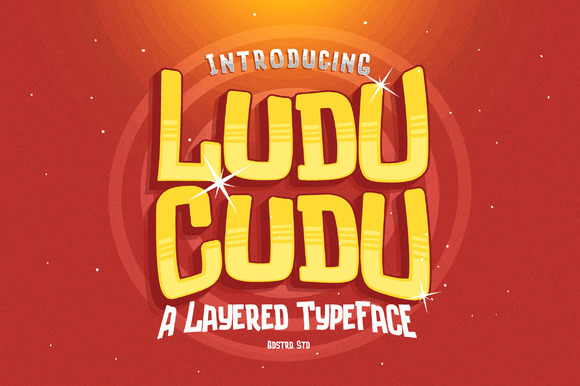 Luducudu had three families: Regular, Extrude, and Gradient. They can be used directly in a single layer. Keywords: display font, funny, cartoon, handmade font, customize font, logo, typography, type, fresh, original, lettering, font, editable, layered font, font family.